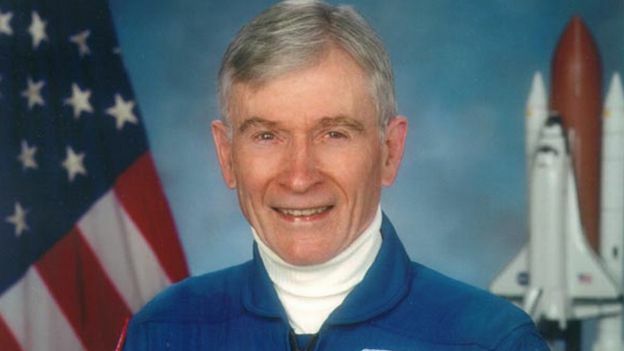 — John Young, NASA's longest-serving astronaut, who walked on the moon and flew on the first Gemini and space shuttle missions, has died. "NASA and the world have lost a pioneer," said NASA acting administrator Robert Lightfoot in a statement on Saturday. 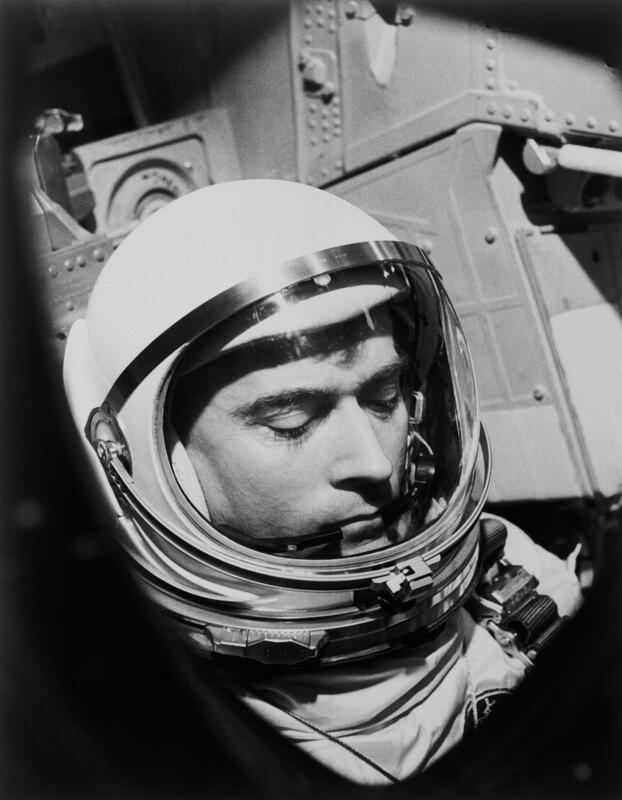 "John Young's storied career spanned three generations of spaceflight; we will stand on his shoulders as we look toward the next human frontier." 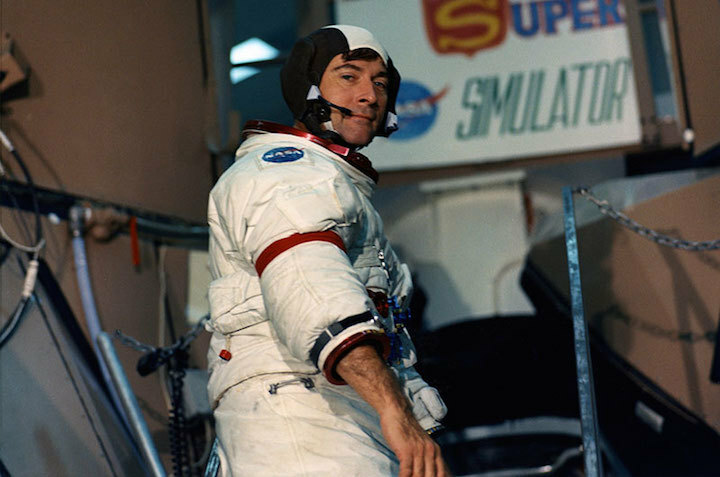 "Young was at the forefront of human space exploration with his poise, talent, and tenacity. He was in every way the 'astronaut's astronaut,'" Lightfoot said. Selected alongside Neil Armstrong and Jim Lovell with NASA's second group of astronauts in 1962, Young flew two Gemini missions, two Apollo missions and two space shuttle missions. He was one of only three astronauts to launch to the moon twice and was the ninth person to set foot on the lunar surface. In total, Young logged 34 days, 19 hours and 39 minutes flying in space, including 20 hours and 14 minutes walking on the moon. "I've been very lucky, I think," said Young in a NASA interview in 2004, when he retired from the space agency after 42 years. Young made the first of his six missions as the pilot on the maiden flight of Gemini, NASA's two-seater spacecraft. Flying with original Mercury astronaut Virgil "Gus" Grissom, Young launched on the nearly five-hour Gemini 3 mission on March 23, 1965, putting the new vehicle through its paces while also taking a bite or two from a later infamous corned beef sandwich that he smuggled aboard the flight. Gemini 3 "was a truly excellent engineering test flight of the vehicle," Young wrote in his 2012 memoirs, "Forever Young." 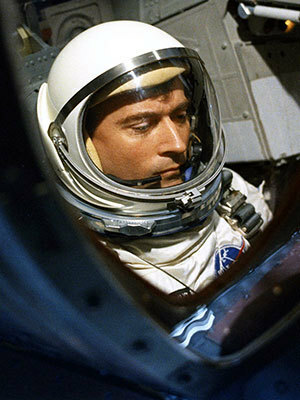 Young commanded his second spaceflight, Gemini 10, in July 1966. The three-day mission climbed to more than 400 miles (760 kilometers) above Earth to measure the risk posed by radiation, conducted the program's first double rendezvous with two Agena target vehicles and included two spacewalks by pilot Michael Collins. On the Apollo 10 mission in May 1969, Young became the first person to orbit the moon alone. During the flight, which was a full-up dress rehearsal for the first lunar landing two months later, Young remained on board the command module "Charlie Brown" while his crewmates, Thomas Stafford and Eugene Cernan, flew "Snoopy," the Apollo 10 lunar module, to within 47,000 feet (14 km) of the moon's surface. On their return to Earth, Young, Stafford and Cernan set a record for the highest speed achieved by astronauts aboard a spacecraft: 24,791 mph (39,897 km/h) on May 26, 1969. 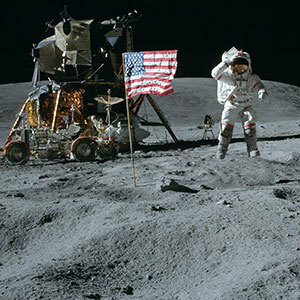 Young got his chance to walk on the moon in April 1972, as commander of Apollo 16, the fifth and penultimate Apollo lunar landing. 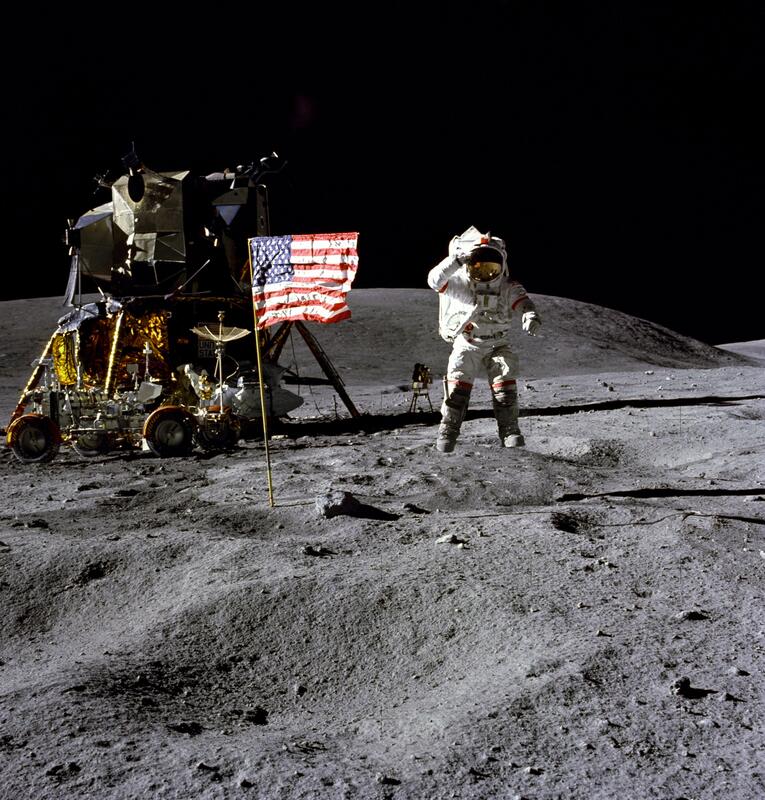 Young and Charles Duke landed the "Orion" lunar module in the Descartes highlands for a nearly three-day stay. "There you are, mysterious and unknown Descartes – Highland plains," described Young, as he took his first steps on the moon. Exhibiting his dry wit, Young then compared his situation to a Joel Chandler Harris story, adapted for the Disney movie "Song of the South," to express how fortunate he felt to be on the moon. "I'm sure glad they got ol' Br'er Rabbit here," he remarked, "back in the briar patch where he belongs." 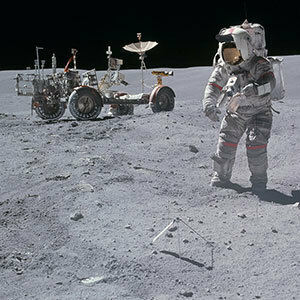 Over the course of three excursions across the boulder-strewn surface, Young and Duke explored more than 16 miles (26 km), becoming the second crew to drive a lunar rover. 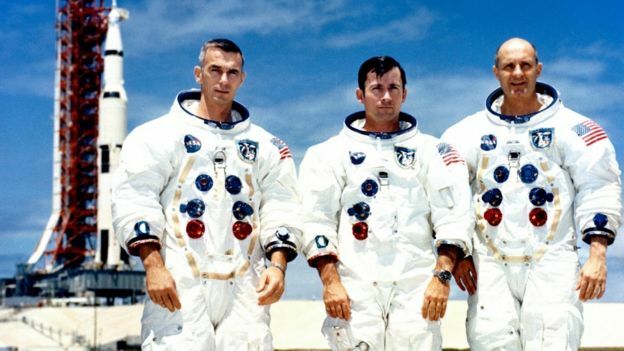 As they went, they collected 211 pounds (96 kilograms) of moon rocks and lunar soil, which they brought back to Earth with Apollo 16 command module pilot Thomas "Ken" Mattingly. During their first moonwalk, Young and Duke received word from Mission Control that the U.S. Congress had approved the funding to develop the space shuttle. "The country needs that shuttle mighty bad," Young said in response. "You'll see." Although he had no way of knowing it at the time, Young would next make history commanding the first flight of the space shuttle nine years later, almost to the day. 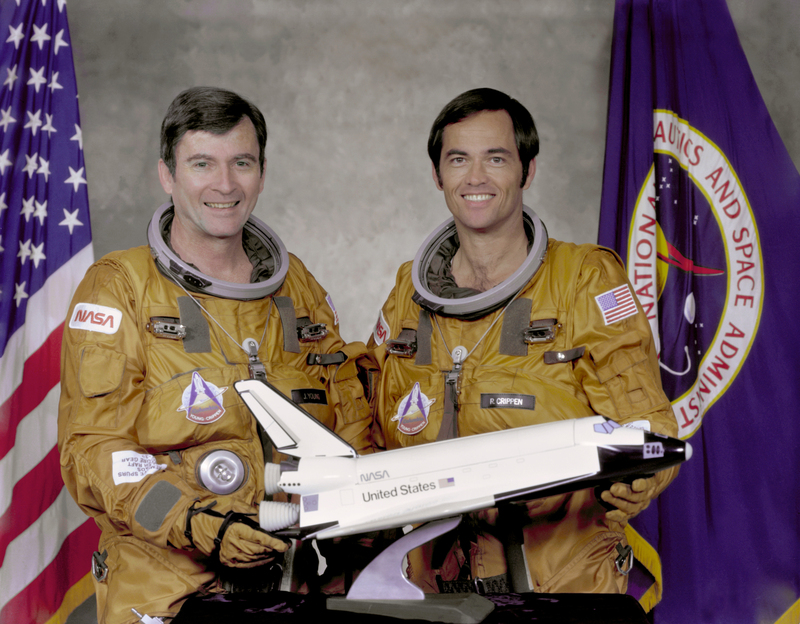 Young and Robert Crippen launched on space shuttle Columbia on April 12, 1981. Because of the way the orbiter had been designed, it could not be tested in space without a crew. "I think if you look at all the things we had to do, flying a winged launch vehicle into space without any previous unmanned test, it probably was very bold," Young told collectSPACE in 2006, on the 25th anniversary of the STS-1 mission. For two days and six hours, Young and Crippen tested Columbia's systems before returning to Earth like no other orbital spacecraft had done before — with wings, gliding to a touchdown on the dry lake bed at Edwards Air Force Base in southern California. "This is the world's greatest flying machine, I'll tell you that," stated Young, as the orbiter came to a wheels stop under his control. 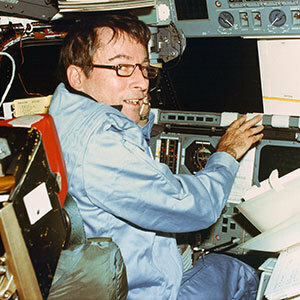 Young's then-record sixth space mission returned him to the commander's seat on board Columbia for the orbiter's sixth mission in November 1983. 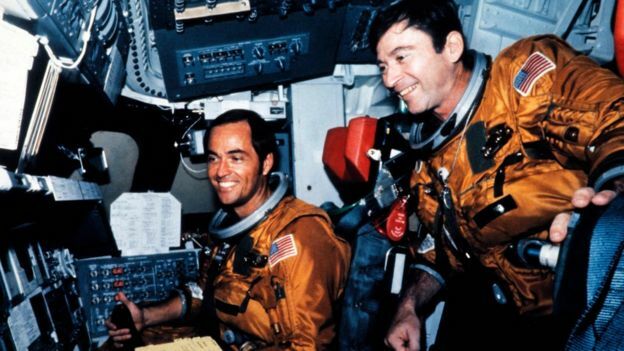 This time, Young led a crew of five, including the first international astronaut to fly on the shuttle, Ulf Merbold of the European Space Agency (ESA). STS-9 also marked the the first flight of the European-built Spacelab laboratory, a pressurized module that was mounted inside the orbiter's payload bay. The 10-day mission carried out 72 experiments in astronomy, astrobiology, material sciences and Earth observation. On Dec. 8, 1983, Columbia made a pre-dawn landing at Edwards, returning Young to Earth for the last time. John Watts Young was born on Sept. 24, 1930, in San Francisco, California. When he was 18 months old, Young's parents moved, first to Georgia and then Orlando, Florida, where he attended elementary and high school. Young retired from the U.S. Navy with the rank of captain in 1976. Over the course of his flying career, he logged more than 15,275 hours in props, jets, helicopters and rocket jets, including more than 9,200 hours in NASA's T-38 astronaut training jets. 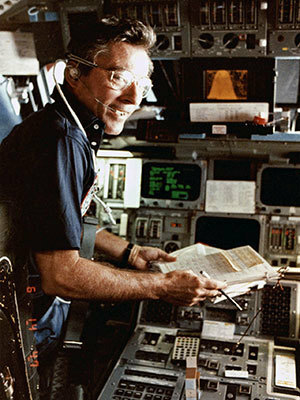 In addition to his own six spaceflights, Young also served on five backup crews, including backup pilot for Gemini 6; backup command module pilot for the second Apollo mission (as slated before the Apollo 1 fire) and Apollo 7, the first crewed Apollo launch; and backup commander for Apollo 13 and Apollo 17. Young is survived by his wife Susy, two children, Sandra and John, who he had with his first wife, Barbara White, and three grandchildren. 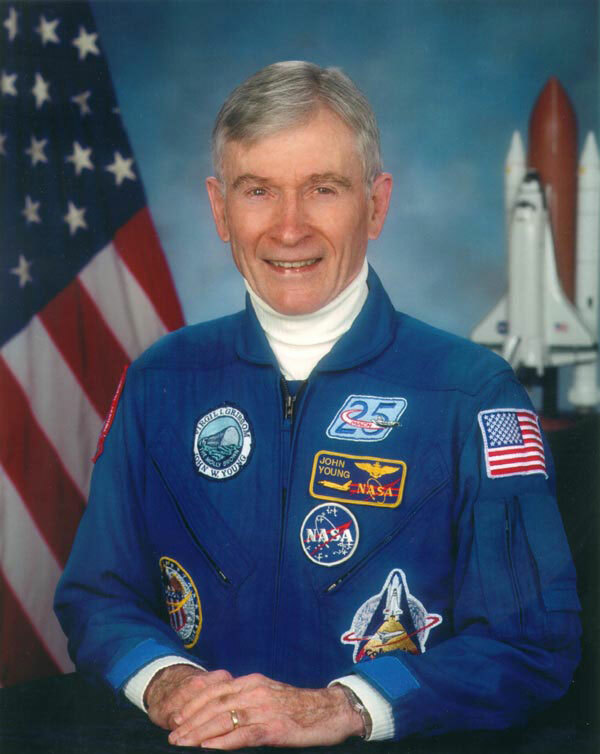 John Young's official astronaut portrait. 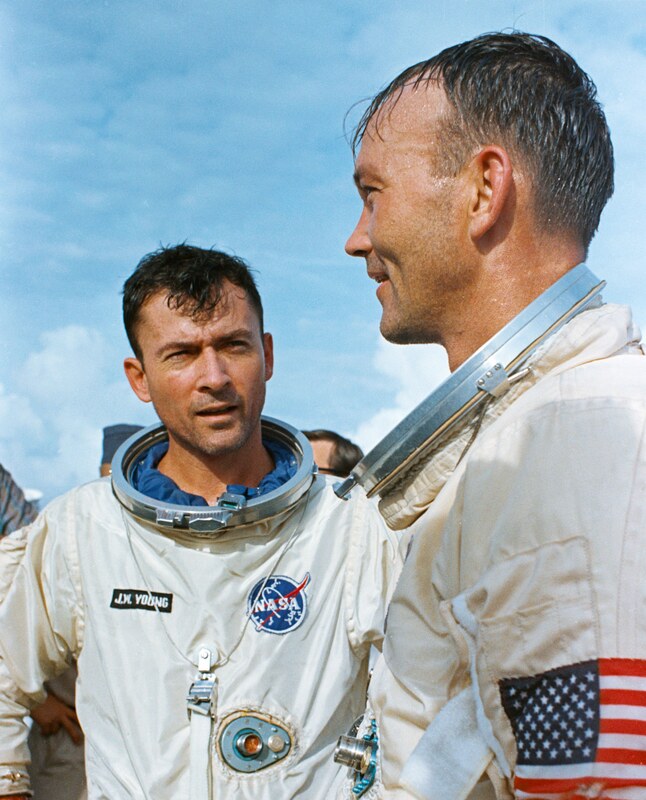 Gemini X astronauts John Young, left, and Mike Collins stand on the deck of USS Guadalcanal following splashdown and recovery on July 21, 1966. 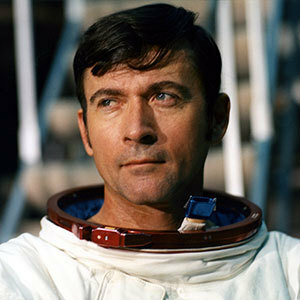 Astronaut John Young, who walked on the Moon during Apollo 16 and commanded the first space shuttle mission, has passed away at the age of 87. He is the only person to go into space as part of the Gemini, Apollo and space shuttle programs and was the first to fly into space six times -- or seven times, when counting his liftoff from the Moon during Apollo 16.